To successfully coordinate the multiple projects or phases within a complex program, managers need to develop an integrated program plan, keep it up to date at all times, and communicate its status to clients and executives on a regular basis. Creating a clean, accurate high-level plan can be difficult, but it will enable professionals and non-project audiences alike to view the complete picture of the program, how it is structured, and how the different sub-teams contribute to its execution. Managers and coordinators who wish to simplify the planning process can use the free program plan template, which is a downloadable native PowerPoint slide designed to be easy to understand and update. 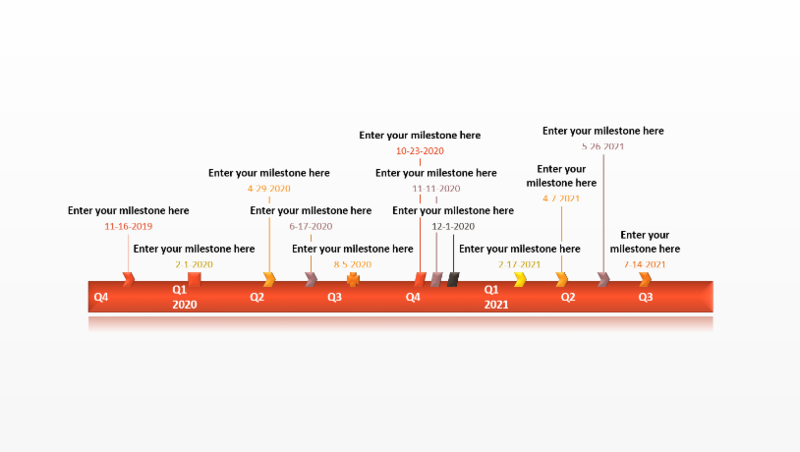 The template was built as a timeline visually split into blocks or stages, and it links the planned activities directly to the program’s deliverables or milestones. 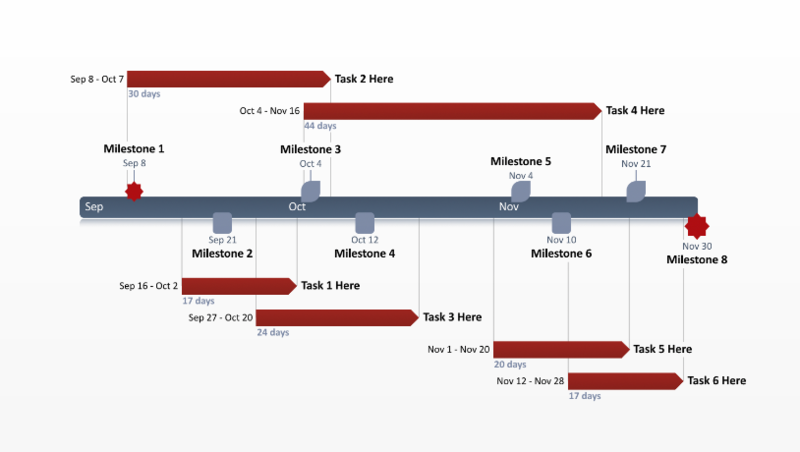 Such a layout enables managers to create a route-map through the program and provide logical break points for review, decision-making, and team alignment. Effective internal, cross-team and external communication is key for the successful execution of a program. Each project within a program has its own plan to outline goals, tasks and deliverables, and program managers need to integrate all individual plans based on shared dependencies. By communicating often and constantly reviewing the program plan, teams can identify potential problems, prevent conflicts, and get a clear picture of the whole process. 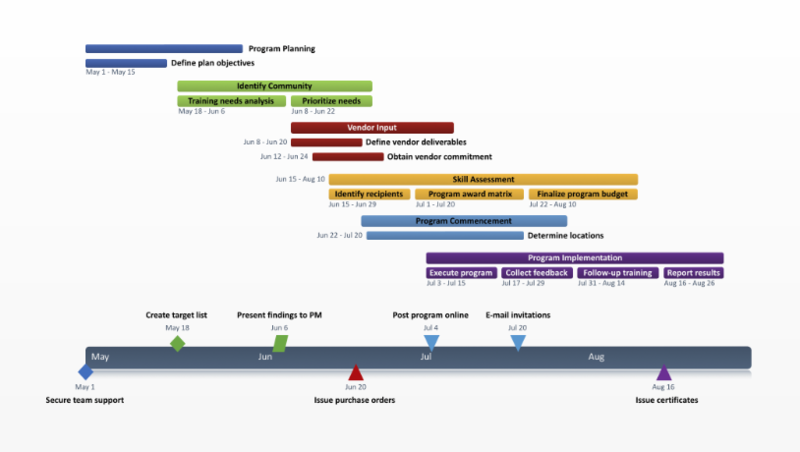 Built for PowerPoint, the program plan template can help communicate essential data through a simple, familiar channel that both functional teams and non-project audiences are comfortable with. The graphic can be updated and shared by anyone who has Microsoft PowerPoint installed. This means that teams can collaborate on the plan and maintain the timeline, while clients and executives can open and review it at a glance. 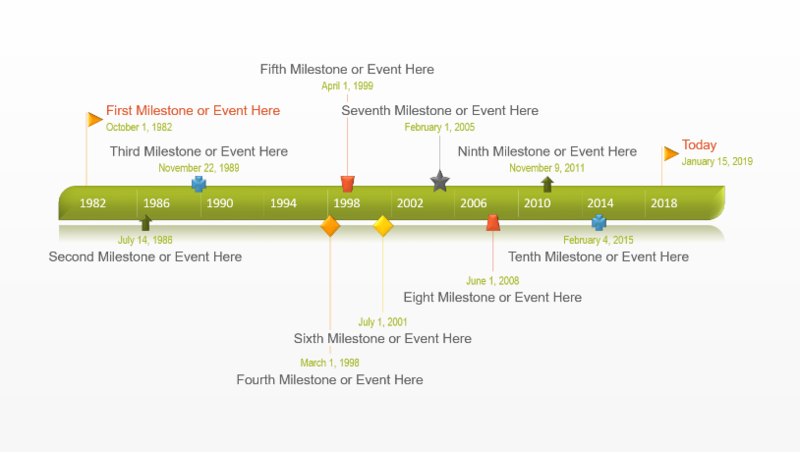 The graphic can be customized manually, changing texts, colors and shapes just as with any other slide, or it can be edited automatically with the Office Timeline plugin for PowerPoint. The add-in is a light and intuitive planning tool designed for professionals who need to create high-level Gantt charts and timelines quickly. 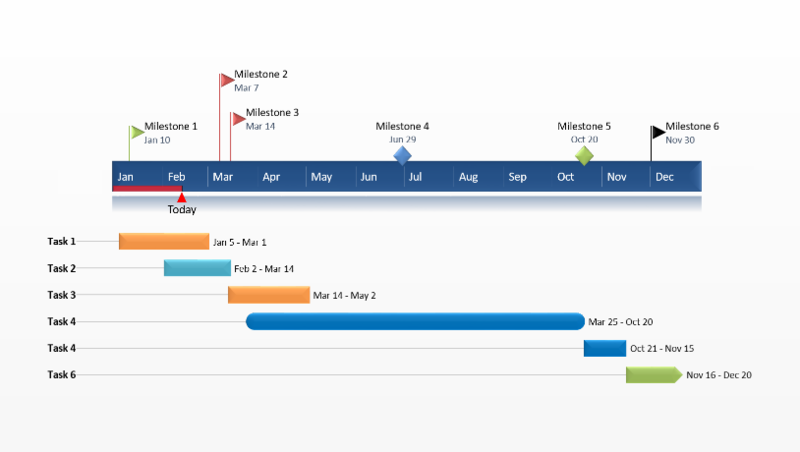 Using Office Timeline’s import, synchronization and sharing functions, program managers and teams can work together on revising the program plan to have it ready for important communications as fast and as often as needed.